Youth hockey isn't like most youth sports where you're cornered in to playing within your own municipality's rec program. You have options. Sometimes having options, though, makes things more difficult as there are different paths to choose. First and foremost, whether you're just playing to get some exercise or really getting down to business and molding a hockey player, location is one of the most important things. It has to work for your family's schedule. That is an absolute must. Sure, at the start, your commitment is limited to weekends so it might seem totally plausible to drive an hour to the rink but soon enough you'll find yourself at the rink 3 or four nights per week...on weekdays...when you'll be forced to leave work early to get them there. I can't stress how important this is when you're just starting out. Don't make it more of a commitment than it needs to be. The next thing to look at is the coaching. Sure, you don't really know what you're getting into until you're already in the program -- it is a leap of faith in many respects -- but you can certainly check out a program before you commit. Just to go the home rink of the team you're considering trying out with on any weeknight and chances are, you'll see one of their teams practicing. 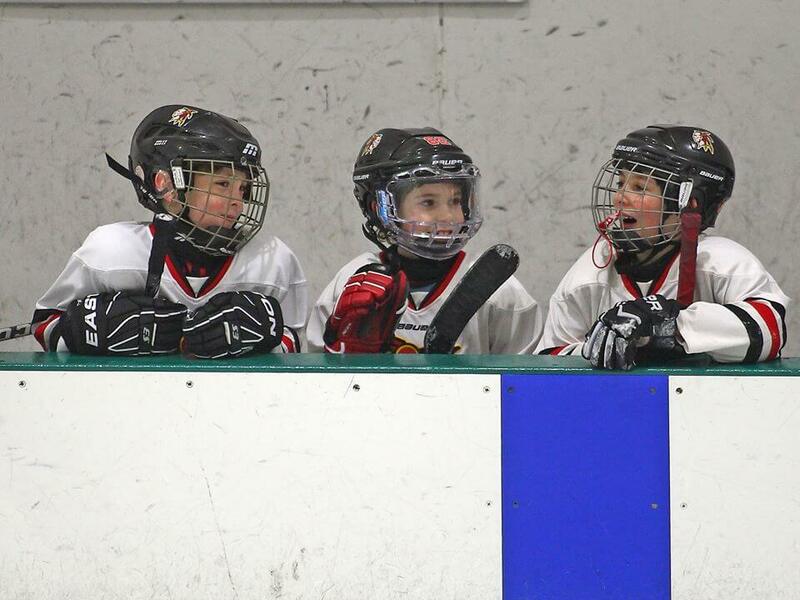 Doesn't so much matter the age group on the ice -- most programs have a pretty consistent coaching philosophy from top to bottom -- you'll either like what you see or it'll be immediately apparent that it's not the right fit for you or your little hockey player. And while this might not seem like it's very important, it actually is. The uniform. If you've narrowed down your list to a handful of teams, show your little one pictures of the different uniforms and let them pick to feel like they're a big part of the final decision. Afterall, they're the ones working on the ice. And lastly, and really something you can only hone in on once you've played on a specific team, is the actual coach. 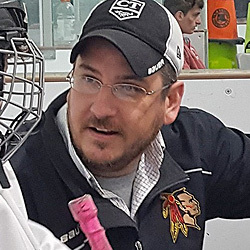 Having rubbed elbows with professional hockey players for the better part of two decades, one piece of advice has been consistent throughout -- often times direct from their parents, "Find a coach that gets the most out of them...and follow that coach." You may have noticed that my oldest's "career timeline" is outrageously lengthy for a player of such a young age. Well, it's with good reason and probably not what you expected. We've been "trying out" coaches...and the timeline suggests that there are a few that we've stuck with. That isn't to say some of the coach's we've only briefly played with aren't great coaches -- far from it. It's just that some, two in general so far, have single handedly raised our son's level of play. The first coach we encountered to do this was Adam Duskocy. We first crossed paths in 2014 and the extra drive he brought to Duncan's game had us working with him for 3 off seasons. We were going to "follow" him. At first, he coached one town away. By the time Duncan was up to speed, he had relocated and was now coaching in the Junior Falcons program, about an hours' drive from our home. Location, location, location... It just wasn't going to work...unfortunately. So, with our "preferred" coach no longer a viable option, we rolled the dice and chose a program closer to home with a high level coaching philosphy, and most importantly, cool uniforms. Boy, did we hit a home run with coach Adam Thomas. Never have I met anyone with more passion for the game. I mean, I take a pretty good ribbing from time to time about being of hockey mind 24/7, but I'd bet coach Thomas is in an arena no less than 350 days per year... I'm not even one third of that. And it's not about him, it's about teaching the game to the little guys. Those younger players who are often not as exciting the bantams and midgets but are probably more important in the long run -- that's his focus. Duncan squeaked on to his roster as one of the youngest players on the team and, without question, was one of the least skilled. He had the drive...not so much the talent. Full disclosure -- I don't wear dad-goggles at the rink. But I'll tell you, after a single season with Adam Thomas, Duncan went from a player who, as a long shot, tried out for and just squeaked his way on to a team all the way to a player who can tryout for and make any team he chooses in the area. In fact, last Spring, he was offered a roster spot on a team that he didn't even try out for and was even placed on a team 2 years above his age, sight unseen. That kind of progress can be attributed to age, sure, and his own hard work at getting better but credit must be given where credit is due -- he had an unbelievable coach. It's no wonder that his name appears on Duncan's timeline at least six times. And while he's no longer Duncan's coach, we're still "following" him as he's now Henrik's head coach...and I can't tell you how great it feels to have found such great influences for both of them before they were even six years old.